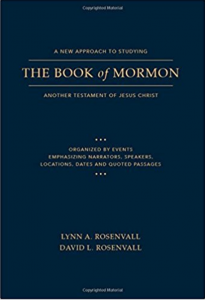 A New Approach to Studying the Book of Mormon: Another Testament of Jesus Christ by Lynn and David Rosenvall provides a unique way to study the Book of Mormon. It presents the full, unaltered text of the Book of Mormon, but the formatting has been organized by event rather than by the traditional chapter and verse. Marginal notes indicate names of narrators, speakers, dates, locations, and other scriptural references. 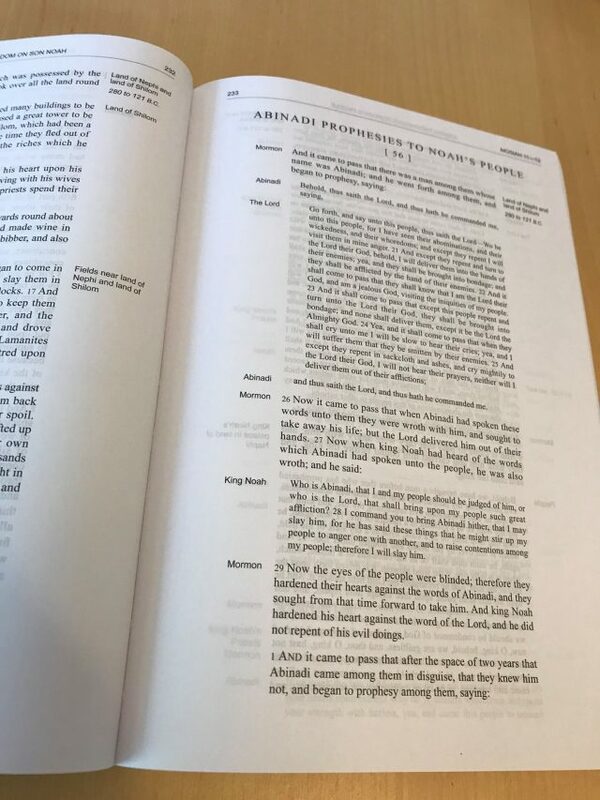 By reformatting the Book of Mormon text into logical events and episodes, you can more readily visualize the context, speaker, and doctrine—like acts and scenes of a play. Reading the Book of Mormon as 214 events or episodes, rather than as 239 chapters, can be a helpful perspective for children, teenagers, and anyone who wants to understand more clearly how the scriptures relate to their lives. For this project, the father-and-son team Lynn and David Rosenvall licensed the text of the Book of Mormon from the Church. They were instrumental in helping the Church publish the first online edition of the scriptures. This book is available on Amazon. Learn more about this project at StudytheScriptures.com. If you like this book, check out their book A New Approach to Studying The Covenants of Our Fathers: A Harmony of Genesis, Moses and Abraham. Ms Ashley, The work of Professor Rencher while commendable is essentially useless in a modern digital world. The Rosenvalls have done a marvelous thing for our current condition. And I’ll trust you didn’t mean to imply that the Rosenvalls had done any thing underhanded. Be strong! Does this come in digital format? Or is it only in paperback? Where can I get a PDF version? Where can I get a PDF version??? I don’t see a PDF version available.